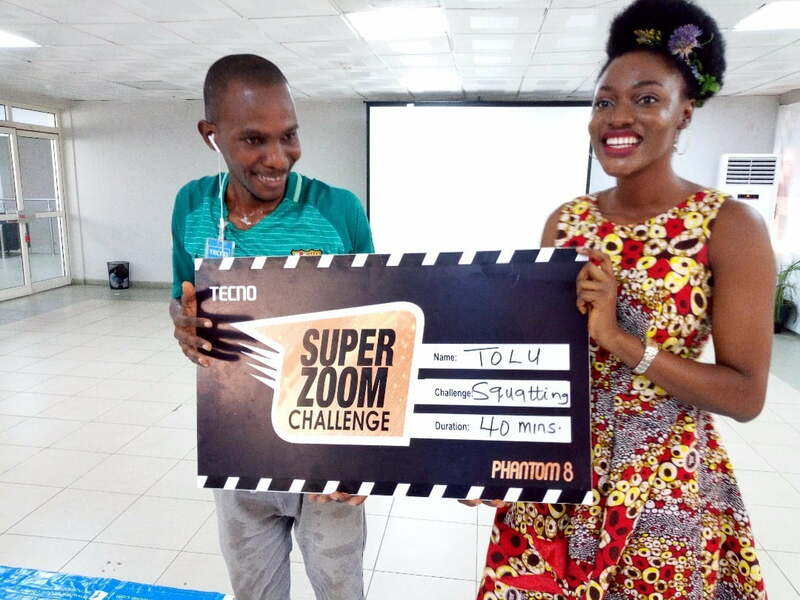 It’s a little over a month ago since the Super Zoom and Dual Camera Challenge [Planking and Squatting] was introduced by TECNO Mobile in order to showcase the dual camera and super zoom capability of the Phantom 8 flagship smartphone. During the challenge, fans were simply asked to show how long they could plank or squat and also challenge their friends to beat or ‘zoom in’ on their record. The Super Zoom Challenge ran both online and offline. The online participants were required to post a video of themselves either planking or squatting on the TECNO Facebook, Instagram and Twitter page with the hashtag #CaptureYourLegend. While all the offline participants had to do was walk into any authorized TECNO outlet, indicate their interest and take part in the challenge. The competition received massive participation as thousands of entries were recorded online and offline. Even the popular big brother housemate, Kemen, who is known for his interest in fitness and bodybuilding, joined the competition. Five (5) weekly record breakers were picked for the one-month challenge, making a total of 20 winners and all were rewarded with goody bags. At the end of the competition, 20 record breakers which were picked online contested for the final phase where top 4 participants were chosen. Also, 4 participants with the highest records were picked offline. A total of 8 contestants with the highest records were announced as lucky winners of Phantom 8. 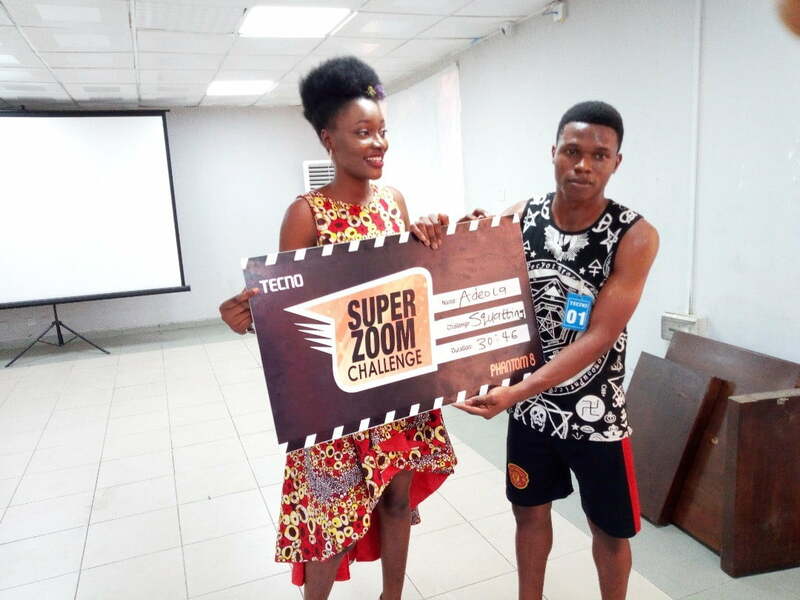 The names of the final winners include Benjamin, Dare, Akosile Paul, S cope Boi, Aladenike Toluwalope Joseph, Adeola Sanda Samuel, Uwak Ekanem and Olatunji Segun. Adeola, one of the winners, said: “ Today is one of the happiest days of my life. I can’t believe I just won a brand-new phone simply for squatting. Everybody in my area must hear of this”. In line with its earlier promise, each of the lucky winners will be rewarded with the new TECNO Phantom 8 smartphone by the African Mobile phone giant. According to the TECNO Digital Marketing Manager, Nigeria Chinma Banksharon, ” We always like our customers to experience more in their everyday lifestyle, with Spark it was all about dreams, with Phantom 8, it is fitness, and there is still much more to come”. Winners are advised to check their names on TECNO Official Facebook page here and how they can redeem their prizes. Next article#CMore: Could The Camon CM Be TECNO’s First Bezel-less Smartphone?